So, you know your blog, magazine and/or Instagram account drives sales for the brands you feature. But do you know EXACTLY where your content fits in the customer journey? This diagram by Boston Consulting Group will show you. 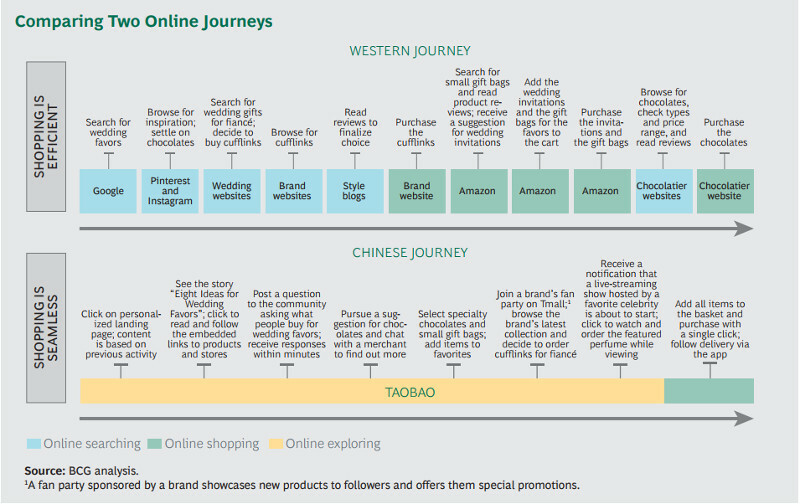 This related article from econsultancy explains how the Western customer journey compares with the Chinese customer journey – which is startlingly different. Did you hear? The Guardian is now making more money from paid memberships and subscriptions, than advertising revenue. Vogue Australia is using influencer marketing platform Scrunch to source influencers for their campaign for Lancome – here’s a sample. Could you use a similar strategy? Trying to convince your managers to ditch banner ads? Send them this Digiday article on the history of the first banner ads and they might finally get the message: they’re relics. Styled content: These images by stylist Bek Sheppard and photographer Lillie Thompson for Melbourne designer Made By Morgen blew us away.